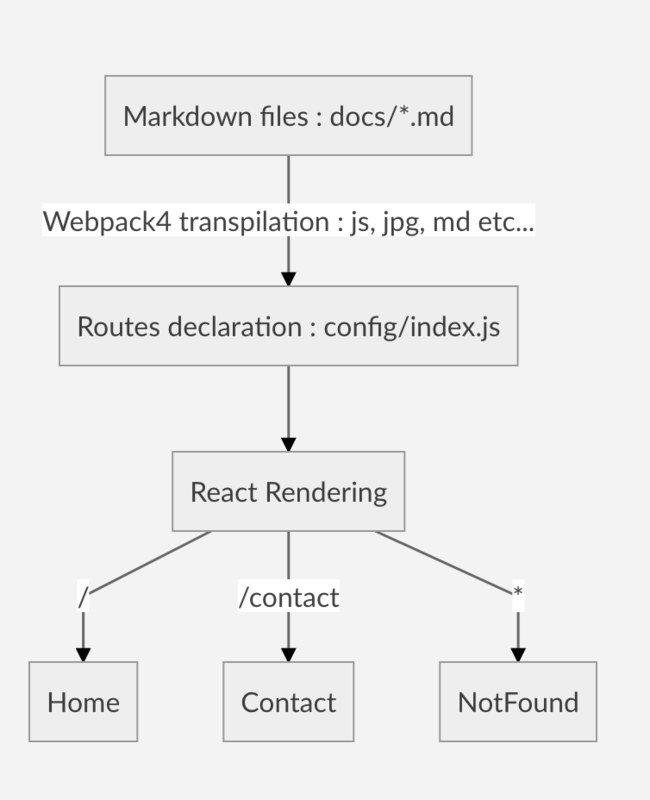 React Markdown Doc was developed to provide a SSG easy to maintain and as modular as possible, built on top of React 16 and Webpack4, it should also be compatible with mainstream static hosting platforms (Apache, now, netlify, surge etc...). composeMD is a High Order Component function, that'll generate a new component using markdown data. Set yarn prod as the production command. Then copy every files (don't forget .htaccess) from dist in root of your Apache host.